The Rumble Seat doubles the seating capacity of your UTV. Take a couple of friends with you on your next adventure! 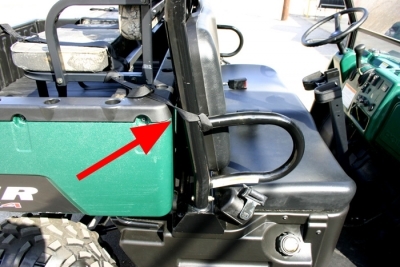 The Rumble Seat doubles the seating capacity of your UTV. Take a couple of friends with you on your next trip afield in your utility vehicle. Most off-road utility vehicles only provide for comfortable transport of two passengers. Now, with the Rumble Seat, you can haul 2 friends or “hunting buddies”. Each Rumble Seat comfortably accommodates two adults. The Rumble Seat is framed of aircraft aluminum and features super-soft, cushioned pads covered with waterproof 400 denier nylon and includes safety belts. 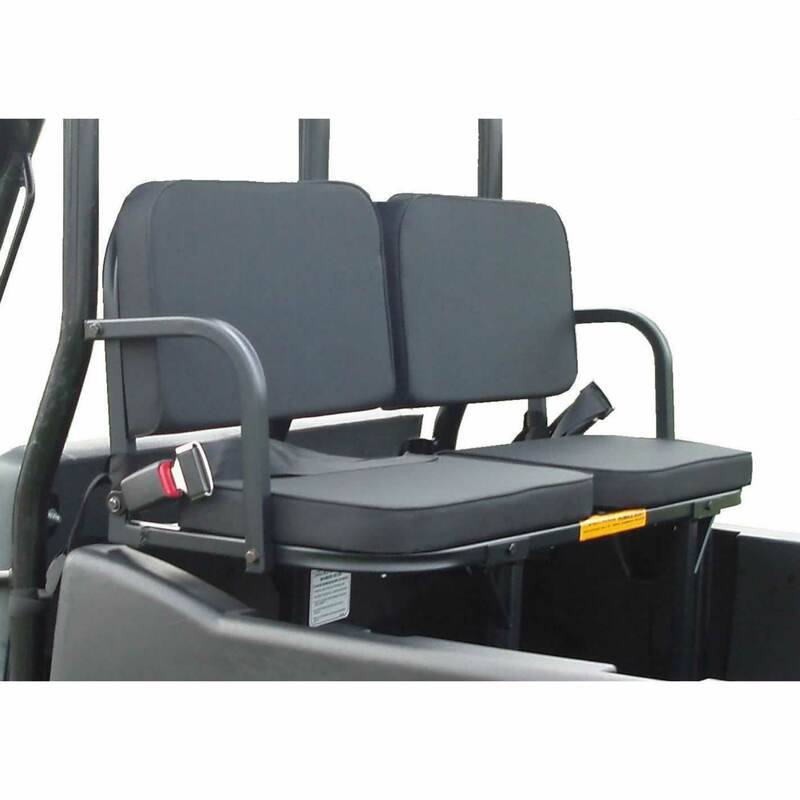 The “Rumble Seat” features safety belts and quick detach brackets to allow instant installation in all popular brands and models of utility vehicles and safety straps to insure bed stability. The Rumble Seat is available in models to fit the Kubota RTV’s, Polaris Ranger, Kawasaki Mule, John Deere Gator 4×2, 6×4 and the HPX/XUV models and all full size UTV’s.